Mobile phone operator EE is recalling all of its 1.4 million Power Bars following fire safety fears.The move comes just four months after an initial recall of one batch of the portable chargers – up to 500,000 – by the company amid concerns they could overheat. In August, it was reported five Power Bars dangerously overheated and in one case a customer said her hand was burned when hers caught fire after it exploded. The firm now says there have been a “very small number of further incidents” where the Bars overheated and could cause a fire risk. There are understood to have been two new cases. EE said in order to make sure all customers remain safe, they should stop using them and returned them to an EE store. 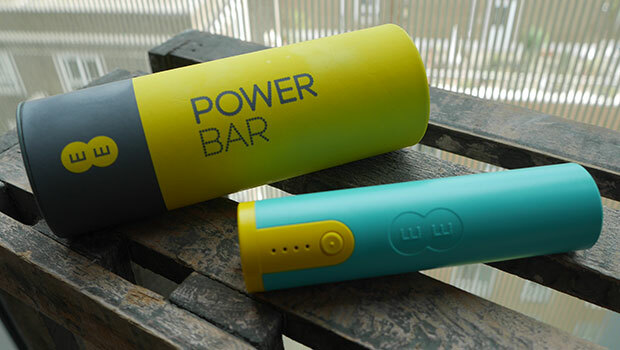 In April, the firm announced the Power Bar scheme, which gave customers the chance to claim the free portable charger. And customers could swap them at EE stores for fully charged ones should theirs run out while away from a power supply. More than a million had been made available as the scheme was met with huge demand. It will send text messages this week to all customers, who signed up to the scheme, asking them to return the devices. The network operator said those who do so will get a £20 voucher in exchange. It said in a statement: “We’re recalling all EE Power Bars. Customers with a Power Bar should stop using it and return it to one of our stores. “If you have a Power Bar, you should stop using it straight away and hand it in to one of our stores. “We are taking this action because we are aware of a very small number of further incidents where Power Bars have overheated in circumstances that could cause a fire safety risk.